A thin lawn isn't just less aesthetically pleasing compared to a thick, lush lawn. Thinner lawns are also harder to maintain because they're more susceptible to weeds. 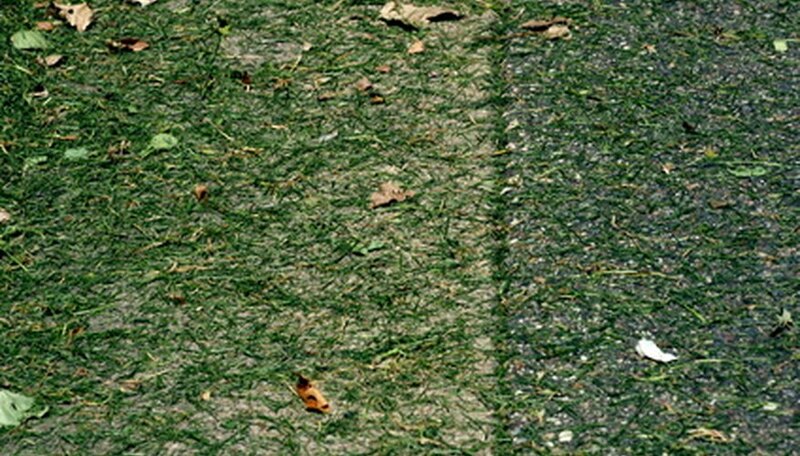 A thin lawn is also often a sign of poor lawn health. Several lawn management principles and tips can help you grow your lawn into the healthy green turf you desire. Deep watering encourages extensive root growth for a lusher, more drought-resistant lawn. Poor watering can cause a patchy, thin appearance, dead patches and wilting. Gardeners should apply enough water to moisten the soil to a depth of 6 to 8 inches, according to the University of Missouri. Fertilizer gives turfgrass what it needs to achieve its full growth potential. A well-fertilized lawn will grow thick and dense. Regular fertilizing can also help a thin lawn grow back faster. Use a standard complete lawn fertilizer every eight to 10 weeks, starting in April and ending two to three weeks before your area's first frost date. After applying fertilizer, sprinkle the lawn with water to help carry the nutrients down to the turf's root level for immediate feeding. Overseeding can quickly fix a lawn's thin appearance by adding new grass plants where the turf is thin. The University of California recommends using the same seed mix that was used for the existing lawn. Apply the seed according to its labeled rate; seed concentrations vary by mix. Follow with a lawn starter fertilizer to give the seeds a nutrient boost. Irrigate the lawn three to four times a day to keep the soil moist. The seeds will germinate and become established over the course of the next four to five weeks, filling in your lawn's patchy look. Weeds are always a problem but become even more of a nuisance in a thin lawn. Weeds are best controlled by helping the turf to grow denser, thus blocking out invading plants. While waiting for the turf to thicken, manual hand pulling can keep weeds in check. For widespread control, apply a pre-emergent herbicide like oryzalin or pendimethalin. This stops weed seeds from germinating in the bare patches of your lawn. Don't apply such herbicides if you're overseeding the lawn, because it will also kill the grass seeds.